But do you know who that’s not good news for? The people who don’t know I wrote it. But here’s how that’s remotely possible: for six months, the wrong bio has been attached to the book. I’ve written about it before – it’s the bio of some award-winning ballroom dancer. It was great for a few laughs when it first happened – lots of jokes about me not being able to dance and such – and more than a few people thought it was a fake bio that was created to go with the fake name. But I’ll be honest: it’s completely irritating at this point. Irritating because I’ve contacted everyone I could think of who might be able to fix this and apparently it is the most insurmountable task on the planet because no one’s been able to fix it. Irritating because my readership for the Noah books and Joe books is SIGNIFICANTLY larger and most are completely unaware about this other series I write. Irritating because I really LOVE Stay At Home Dead (and the sequel, POPPED OFF, that’s coming in September) but it’s been maddening to attempt to promote because of the resulting confusion. So I’ll repeat my mantra of the last six months: Yes, I wrote Stay At Home Dead. Yes, I really, really love the book. Yes, I write under the pseudonym Jeffrey Allen. (We used the pseudonym simply because the book is so different than the other mysteries I write and we didn’t want to confuse people. Irony.) No, I am not the ballroom dancer guy – he is, apparently, a real guy who has written numerous books about ballroom dancing. No, I was not trying to trick anyone. No, I didn’t write the bio. (I actually wrote the normal bio that was supposed to be attached to the book – that included my real name – but somehow got lost in the ether.) No, I can’t explain it. If anyone knows anyone in the bio-fixing business, feel free to send me their contact info. Mr. Shelby. It just goes to show you that there are screw ups in just about every business. I very much look forward to reading all of these new books when they come out in paper form. Until then, I wish you and yours a happy and safe 4th of July! Go America! “I can’t dance, I can’t talk. I encourage your readers to click on the link to leave feedback on the “Is there any other feedback you would like to provide” line of the Feedback section of the book page at Amazon, then comment that the bio under Editor Reviews is incorrect. 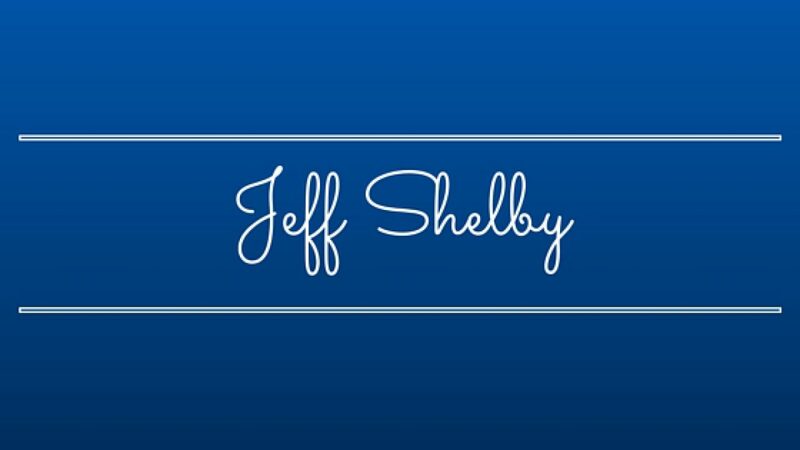 Also, Jeff, if you have time, you can enter author information under the Shelfari section on the page for Stay at Home Dead. ( http://www.shelfari.com/authors/a1002667520/Jeffrey-Allen/ ) At least that would give you some control on what’s out there. There’s not a link to Shelfari for Popped Off yet, as it hasn’t been released. At this point, I’m doing the good old-fashioned word-of-mouth thing to let my friends know about both books. Perhaps an upcoming murder victim will be a dance instructor nicknamed “Amazon” ……???? well…..you can always take up dancing! PLEASE be actively writing the Joe Tyler book about being in Denver. I read both Thread books this weekend and really want to read Lauren and Joe’s adventures in Denver. Just finished reading all three Jeffrey Allen “Stay at Home Dad Mysteries” and want to read more about Deuce Winters and his family. Loved the series and hope he continues with the Winter family. 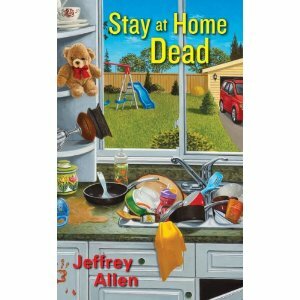 I loved the Joe & Noah books very much, but I did not like the Stay at Home Dead book at all, so I fully understand the different name to match the VERY different style. It is very helpful to us readers that prefer one or the other so as to know which books to purchase and which to avoid. Having said this, please release more Joe and/or Noah books for those of us who crave more from them or perhaps another series under the Jeff Shelby name? No need to ‘drop another Deuce’ book anytime soon, if you’ll excuse the terrible pun. Thank you, Jeff, for the direct feedback and for being so professional in accepting my rather harsh criticism. I do dearly love reading the Noah Braddock books, which was the series I tried first, and the Joe Tyler books were so good that I read all four within a very short time frame, anxious to get to the resolution for the main characters (which I surely won’t spoil for anyone here). I have recommended these books to friends and family. My mother-in-law LOVED the Tyler series and my friend enjoys Braddock. You are a talented author. Thanks for the warning on the Moose River series, but I had already tried the first one, The Murder Pit, and it wasn’t my cup of tea.